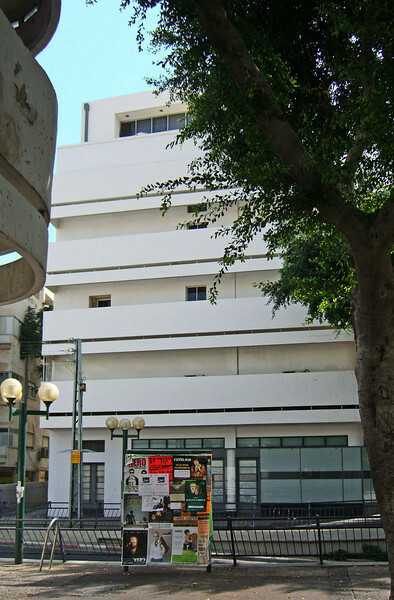 6-Cinema Hotel detail, Reines Street side. The sweeping balconies are pure Bauhaus (“worker’s house”) style. The narrower band is a sunscreen for the windows below the balcony.